It’s May 2013, and Ehlers-Danlos Awareness Month is here again. This EDSer will motivate you to spread awareness in your sphere of influence. If each one of us speaks up whenever we can, it will make a difference. We encourage you to stand up for EDS all year long. “It is May again; time to promote Ehlers Danlos Syndrome awareness here, there and everywhere. It doesn’t take long of living with EhlersDanlos Syndrome to realize that it is a poorly understood, vastly under and misdiagnosed condition that few doctors have even heard of. If you are lucky, your doctor has heard of it and has spent more than two minutes studying it in med school. The first time you have to spell ‘Ehlers Danlos’ for a doctor, you start to understand what you are up against. The twentieth time spelling it for a doctor, it isn’t just funny anymore. You can either be bitter or you can do something about it; you can despair or you can decide to raise awareness in your little corner of the world hoping it changes the world. 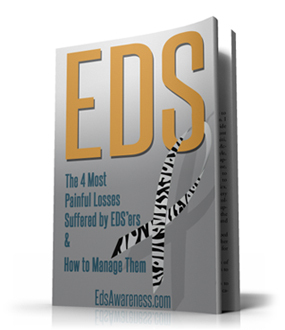 Many EDSers, by necessity, promote awareness every single day of their lives, quietly offering information to their doctors and to friends and family while juggling the multiple conditions that come along with EDS, hoping to simply be understood. But, every May, there is a national and global effort to shine attention on this debilitating connective tissue disorder. By joining our small isolated voices into one united voice, we can turn a whisper into a shout, if only for a month. For a month, we claim the distinction of this being a month where it is ok to shout from the rooftops about this condition which affects so many people and has the potential to ruin lives, yet no one has ever heard of. The task is so big, it is easy to feel defeated before we even begin: we can’t change the world; we can’t change the medical community; we can’t even change our family and friends. The truth is the only thing we can control in this world is ourselves – our attitudes, our actions, our reactions. But, that is all we need. If each one of us – everyone who has EDS and everyone who loves someone with EDS – speaks up whenever we can, educates doctors and nurses and PTs, is honest about our struggles to our family and friends, shares facts about EDS on social media – we will make a difference for the people currently living with this challenging condition and for future generations. And think what a difference we could make if we take even bigger steps, like fundraising for EDS organizations, volunteering to speak to medical students, setting up an information table in the lobby of your local hospital, convincing a radio station to play the EDNF public service announcements or a local newspaper to run a story about EDS. To change the future is not an easy task, yet it couldn’t be more simple: All we have to do is stand in the gap until the sun rises. 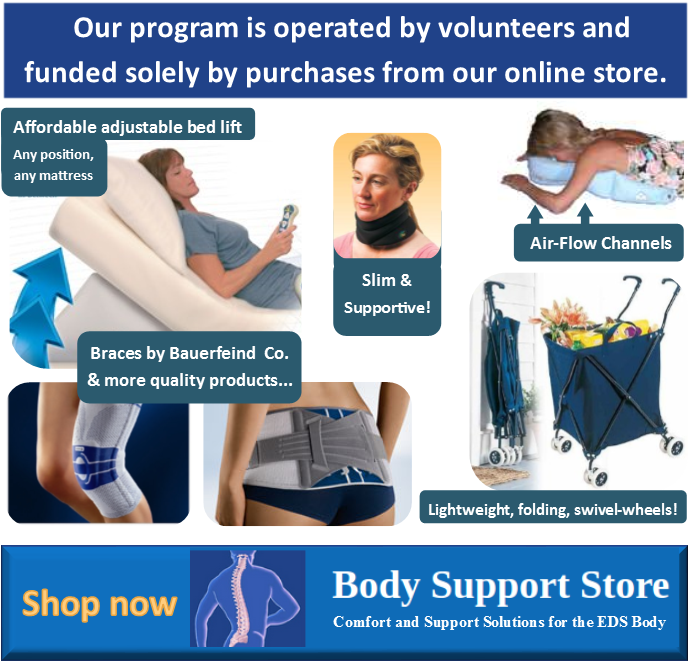 We stand (or sit or slouch or lie down as the EDS and autonomic dysfunction allows; with canes and wheelchairs and walkers and crutches if necessary). We stand together, shoulder to shoulder, leaning on the person next to us or being leaned on if we have the strength. 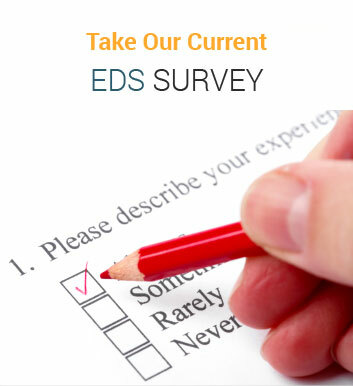 We stand until the medical community knows how to spell and pronounce ‘Ehlers Danlos’. We stand until doctors know where to get accurate information and guidance about treatment and no EDSer is ever told they are a crazy, lazy, depressed, attention seeking, drug seeking loon. We stand until researchers know every single thing they need to know in order to help us. We stand until every single child who is suffering is diagnosed as early as possible, before damage to their bodies and to their spirits is inflicted. We stand until everyone, male and female, young and old, can be diagnosed by a knowledgeable doctor who can guide their treatment so their function can be restored and degeneration is halted or prevented. We stand until no one dies from the Vascular (or ANY) type without at least having a diagnosis and being given a fighting chance to be properly treated. We stand until every rock has been overturned and every possible treatment option has been explored. We stand. And, this May and every May and every day in between, we speak until we are heard, for the sake of every man, woman and child who will be living with EDS for the rest of their lives. How will you stand this month? On Facebook? On Twitter? In the blogosphere? In Zebra garb? In a t-shirt proudly proclaiming what EDS is? Wearing an awareness bracelet? With fellow EDSers? In private? Through words? Through art? However you can, stand. No matter how small or quiet your action, when it is combined with the thousands and thousands of other small actions done by people just like you, it will make the difference. I stand with my daughter, whose life has been turned upside down by this condition. I stand with my son. I stand with my husband. I stand with every person who lives with EDS. I stand with every single parent who watches their child suffer from EDS. Many EDSers can not properly “stand” but this month of May 2013 is our month to promote EDS awareness.